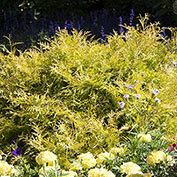 Easy-care shrub adds year-round color to gardens, foundation plantings and landscapes. Can even be grown as a ground cover! Chinese Juniper grows 2-3 ft. tall with a 4-5 ft. spread and has bronze-gold foliage. This low-maintenance shrub is deer resistant and drought tolerant, once established. Plant in full sun. 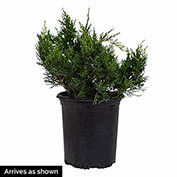 Chinese Juniper is available in a gallon pot and shipping now. Potted. Zones 4-9. 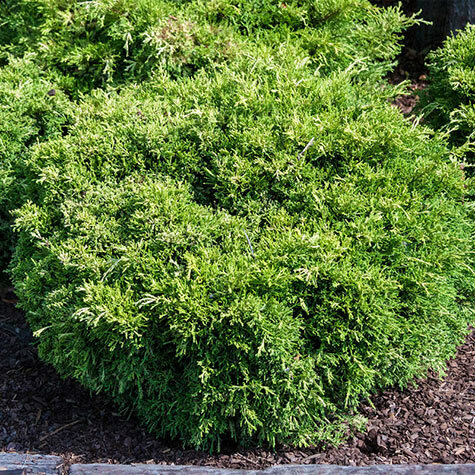 Comments: This compact, spreading juniper has bronze-gold foliage holds its attractive color through winter. Performs well as a groundcover and is a nice addition to a rock garden.